The ability to record phone calls is a useful feature for many people. While the native Android does not have this functionality, there are apps that present you with some great options for recording phone conversations. One of the best call recording Android apps is Automatic Call Recorder, developed by Innovative Technology and compatible with all devices. The design is marvelous, it is a light app, battery friendly and has intuitive user interface. 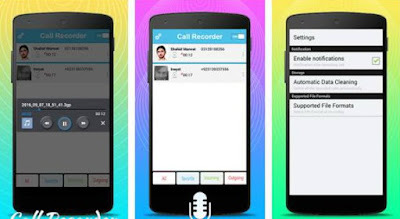 Why is Automatic Call Recorder one of the finest tools on the Android platform? Because it allows you to easily record all incoming and outgoing calls. All you have to do is enable it and it will run automatically in the background during the call, quietly and securely. If you want to stop using it, just disable it with a single tap and if you want to delete anything, you can schedule an auto-cleaner on daily, weekly or monthly basis. Also, your recordings can be saved in multiple formats, such as mp3, mp4 and many others. There is no need for other audio or music playing apps, Automatic Call Recorder plays your recordings with a simple tap. Download it today for free from Google Play and enjoy this smart app!